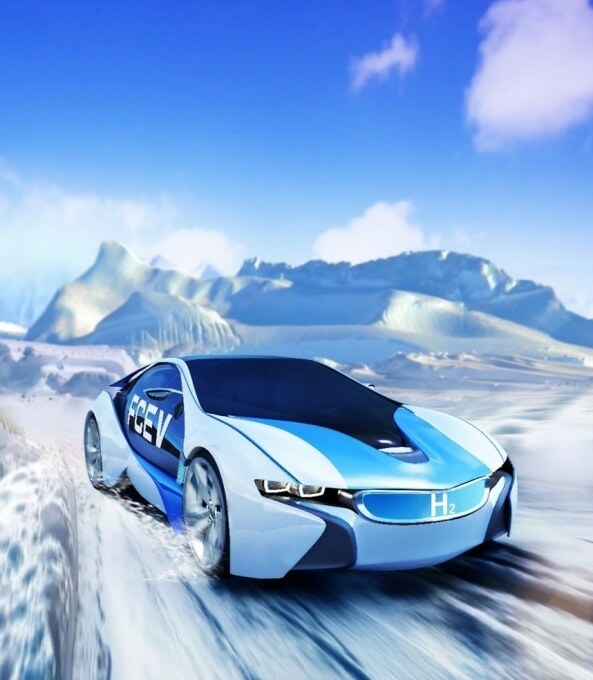 Scientists at the University of Science and Technology of China (USTC) describe, in a study published in Nature on January 31st, 2019, progresses made in the development of hydrogen fuel cells which in turn could boost its application in vehicles, particularly in extreme temperatures such as cold winters. Hydrogen is said to be one of the most promising clean energy sources of the future. Hydrogen fuel cell vehicles utilize hydrogen as fuel, which provides high energy conversion efficiency as well as zero emissions. However, the progress of hydrogen fuel cells is obstructed by a number of challenges, including the problem of carbon monoxide (CO) poisoning of the fuel cell electrodes. At present, hydrogen is mostly derived from such processes as steam reforming of hydrocarbons, such as natural gas and methanol, and water gas shift reaction. The resulting hydrogen commonly contains 0.5%–2% of trace CO. Being the “heart” of hydrogen fuel cell vehicles, fuel cell electrodes are easily “poisoned” by CO impurity gas, causing reduced battery performance and reduced life, which severely impedes the use of fuel cells in vehicles. An earlier study has identified a technique, known as preferential oxidation in CO in hydrogen (PROX), as a potential way for on-board elimination of trace amounts of CO from hydrogen by employing catalysts. However, current PROX catalysts can only function in high temperatures (above ambient temperature) and within a small temperature range, making it unfeasible for civil applications, such as fuel cell vehicles, that must be dependable even in winter times. At present, a USTC team led by LU Junling, professor at the Hefei National Laboratory for Physical Sciences at the Microscale, has developed a new structure of atomically dispersed iron hydroxide on platinum nanoparticles to efficiently decontaminate hydrogen fuel over a wide temperature range of 198–380 K, which is around −103 °F to 224 °F or −75 °C to 107 °C. They also learned that the material offered comprehensive protection of fuel cells against CO poisoning during frequent cold-starts as well as continuous operations in very cold temperatures. These findings might greatly accelerate the arrival of the hydrogen fuel cell vehicle era. Our ultimate goal is to develop a cost-effective catalyst with high activity and selectivity that provides continuous on-board fuel cell protection and one that enables complete and 100% selective CO removal in a fuel cell that can be used for broader purposes. Lu Junling, Professor, Hefei National Laboratory for Physical Sciences at the Microscale.